There’s nothing like a luxury getaway on the slopes to recharge your batteries and squeeze some skiing into your busy schedule. Make the most of your mini-vacation and really live the high life with our guide to the best resorts and hotels for luxury short breaks across Europe. The La Perla perfectly combines the modern and traditional creating a beautiful, uniquely styled mountain base. The hotel contains an amazingly luxurious spa area, complete with two Finnish saunas, a Turkish bath, built in an igloo form and a relaxation area, made entirely of antique wood. During the snowy evenings, the hotel offers an array of spectacular dining options, if you’re after a hearty meal in comfortable surroundings, head to the tavern with friends and family. Or, if you’re looking for something a little more elegant why not give your taste buds a treat dining in La Stüa de Michil, the gourmet restaurant boasting a Michelin-star. 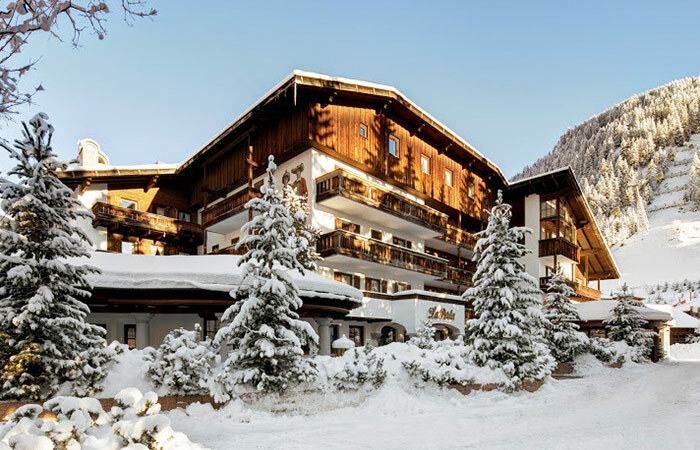 Click here to read more about a luxury ski weekend stay at the La Perla. This elegant property is more than 100 years old and is located right in the centre of Chamonix, near the resort’s excellent off-piste ski slopes and trails. The hotel was recently refurbished by leading interior designer Sybille de Margerie, who combined modern style with the hotel’s history and traditions. The gym has state of the art facilities, while the highlight of the spa is the outdoor swimming pool and hot tub, with its panoramic views of the mountain peaks. Guests can eat their meals in front of the pentagonal stone fireplace in the Le Matafan restaurant, while the Bar Lounge is the ideal spot to kick back on the comfortable sofas and sip champagne while enjoying the view. 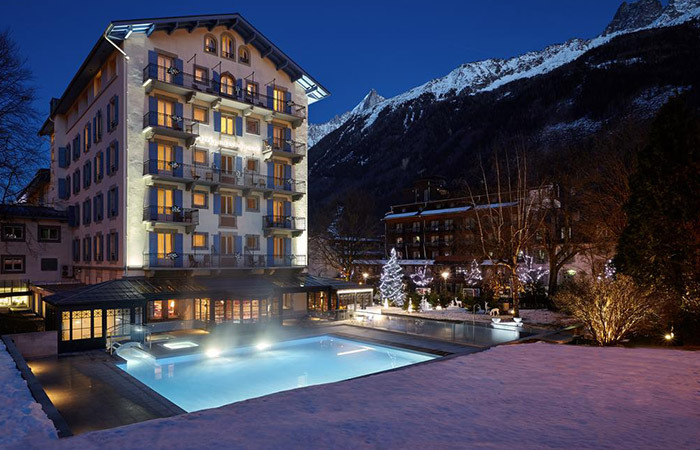 Click here to read more about a luxury weekend stay at Hotel Mont-Blanc. 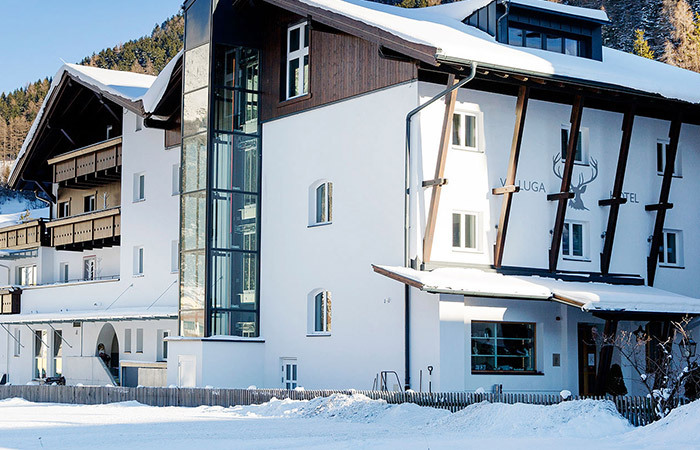 For a weekend getaway in St. Anton, Valluga is your best bet for action-packed skiing and après ski. Enjoy Tyrolean cuisine, Glühwein and cocktails at the bar after a long day spent rocketing down the slopes, or check out the nearby old inn at Ferwall, which specialises in local game and can be reached by a romantic sleigh ride. It’s even possible to take a day trip to Zurich from Valluga, for those who want to do a spot of shopping after a fun weekend of snowsports. 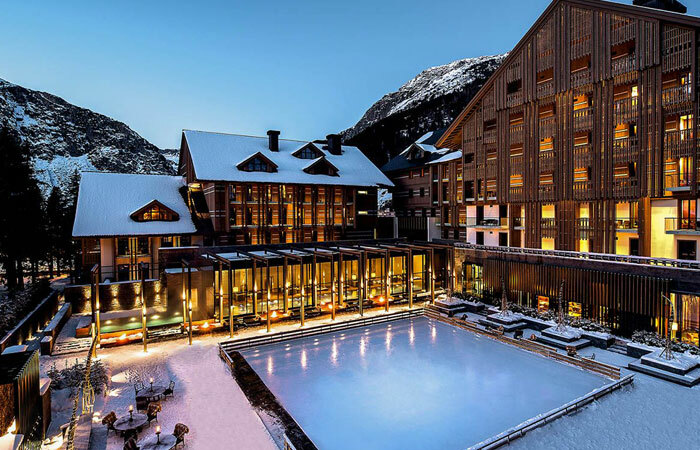 A contemporary five-star hotel nestled in the charming Swiss Alps, The Chedi has superb modern facilities including soothing hydrothermal baths in the 2,400 square metre spa and its very own sports boutique. After building up an appetite on the slopes, you’ll be spoiled for dining options, from nibbles and snacks in the Wine and Cigar Library, to gourmet sushi prepared by expert chefs in the Japanese Restaurant. Meanwhile, the all-day eatery, The Restaurant, serves up Swiss, European and Far Eastern dishes, and is well worth a visit for a glimpse of the famous five-metre tall cheese cellar. Click here to read more about a luxury ski weekend stay at The Chedi.